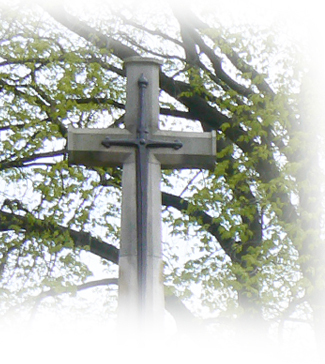 Seafield has memorials dedicated to the memory of servicemen and women who died in both World Wars. There are also a number of individual headstones which have been erected and are maintained by the Commonwealth War Graves Commission. These headstones mark the final resting place of the men and women commemorated on them. In addition to the Commonwealth War Graves, there are also a number of individual headstones which have been erected by relatives of the servicemen and women. These headstones are erected on private family lairs and may be the final resting place of those commemorated, however they may also have been recorded as “missing in action” or have been buried in the country in which they died. There are communal memorials for those who fell in the Great War and were buried at Seafield and also for those who fell in the Second World War and were cremated at Seafield. those who were cremated at Seafield and are named on that Communal Memorial. The surname of each person named contains a link to a photograph of the relevant memorial. Each photograph can then be enlarged to check the details.